Just a quick hello and Happy Holiday to all American readers! I'm quite busy but will be back to blog soon. I really like the 2 outfits! Love that little top with the bow! So cute! such a cute floral dress! I love the feminine cut on that second dress. 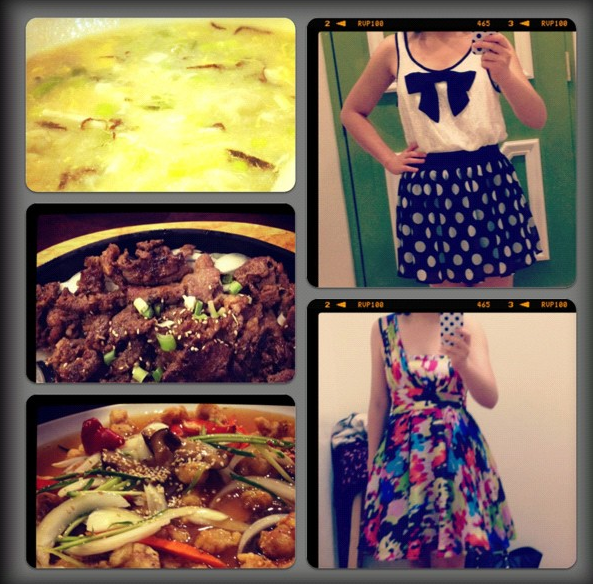 Hmm this post makes my kind of hungry ;) You look lovely in every picture! i like your second dress!